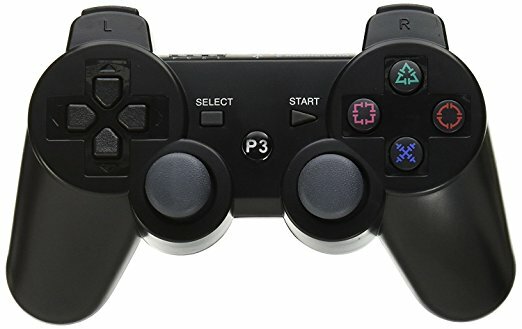 I could pay for the ability to sync the DS4 by connecting the USB cable and pressing the PS button. There is any chance similar work for xbox1s's gamepad? The XBox One Bluetooth controllers currently can't connect to a Linux Bluetooth adapter. It'll have to wait until we get to the bottom of that, which could be a while. Look for updates on the linux-bluetooth mailing-list. Oh it works for me pretty well with two hacks, but i've got the point. Why isn't this work upstream? > Why isn't this work upstream? Why doesn't what work upstream? Anyway, all the code is upstream, best ask your distribution to integrate the patches, they'll know where to get them. I do want to send money. How can I do it? Do you support patreon or something like that? About the upstream, what I mean is that this functionality isn't available on Arch Linux with the lastest GNOME Shell release. Do I need to wait until 3.28 is released? Paulo: I'm already paid to work on this. But if you're feeling generous, there's a wishlist in the sidebar of my site. Don't go breaking the bank though. The functionality is in BlueZ git, which will soon be released as 5.48. If there's a recent snapshot in Arch, you can probably use that, as the functionality has been in there for about a month. Hi @Bastien, thank you for your work. A lot of people using Bluez and what you do guys is awesome. The new battery service looks good to me. However, looks like the very last changes that add this new BDus interface (v5.48) removes the battery service from the list of discovered services which breaks some software that relies on it. It is basically not available anymore to read Battery Level nor to subscribe to notification to receive Battery level updates... I'm a developer of a Bluetooth plugin for the OpenHab Framework by using the TinyB library (a wrapper around Bluetooth DBus interface), and with the Bluez upgrade the TinyB library no longer returns Battery service along with other GATT services. I'm wondering if it is a bug or it is intentional behaviour? Thanks, Vlad. @vkolotov: I don't understand what changes you're talking about. Please report any bugs you see to the linux-bluetooth mailing-list.